PIXI3 is an ISV (independent software vendor) and the professional services company focused on emerging small businesses and startups. With its unique expertise of making ideas happen in projects all around the world we help our customers to gain the edge and leverage modern technologies most effectively. When your business needs some “pixie dust” PIXI3 is there to help you with Web development technologies, Microsoft product consulting and Mobile Apps. In the beginning of July 2012 PIXI3 was formed as an affiliate of Eboxlab Inc, – well known provider of highest quality IT services in Denver, Colorado, USA. 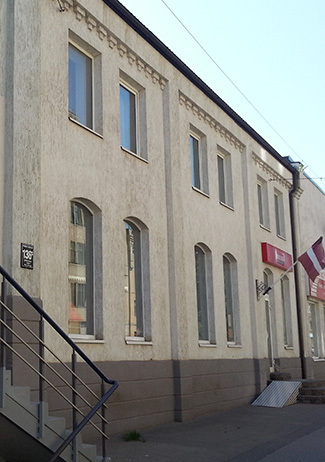 Since then, the new PIXI3 office in Riga, Latvia become Eboxlab’s gateway to the European market. Later, another PIXI3 office was opened in Greenwood Village, Colorado to focus on Software Development and Machine Learning / Artificial Intelligence technologies. Here, at PIXI3 we believe that every customer is unique and deserves the best service possible. We are striving for perfection and always delivering what is promised. Despite being a small company we create a whole world of new opportunities for our customers. We are glad to share our expertise with you and help your business succeed!